Goodwill China Business Information Limited (aka CTI /CSS) offers Transactional, Statistical and Credit Reporting for and about China and Chinese importers and exporters. 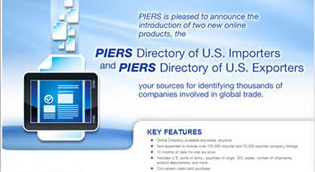 They are also an authorized PIERS reseller within the Greater China Region. I suspect they, in turn, are the third party provider for PIER’s China Trade Intelligence. CTI (China Customs Import & Export Trade Data Base) is considered the most exhaustive source of information on Chinese trade. The company running CTI (Goodwill) has been appointed ‘world-wide agent and distributor for issuance and distribution of China Trade Information as collected and edited by the Statistics Department of Chinese Customs’. One of the best second tier providers I have run across because the founder contacted me directly and asked for coverage is China based TradeInfo365. 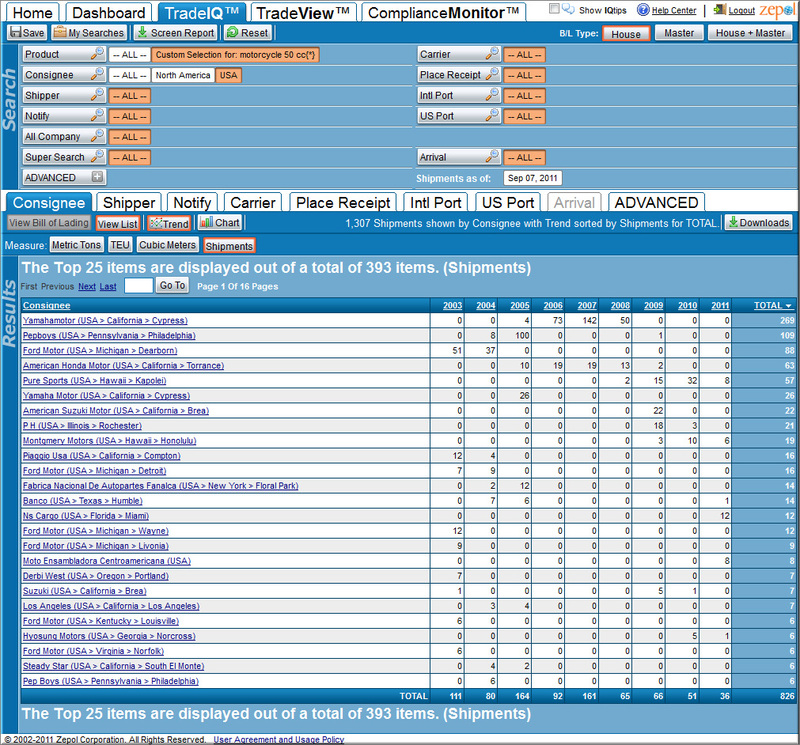 As we noted in our previously published article, TI Provider TradeInfo 365 Provides Transactional Trade Data for 10 Countries, they not only provide what seems to be a fairly sophisticated online search and reporting utility atop U.S. Customs Data, but they also offer similar transactional detail on trade from the UK, China, Korea, Russia and several Central or South American countries. Several TI providers including Datamyne and PIERS as well as several foreign suppliers offer transactional data for the same Latin American countries, leading me to believe that these databases are relatively easy and inexpensive to apprehend. 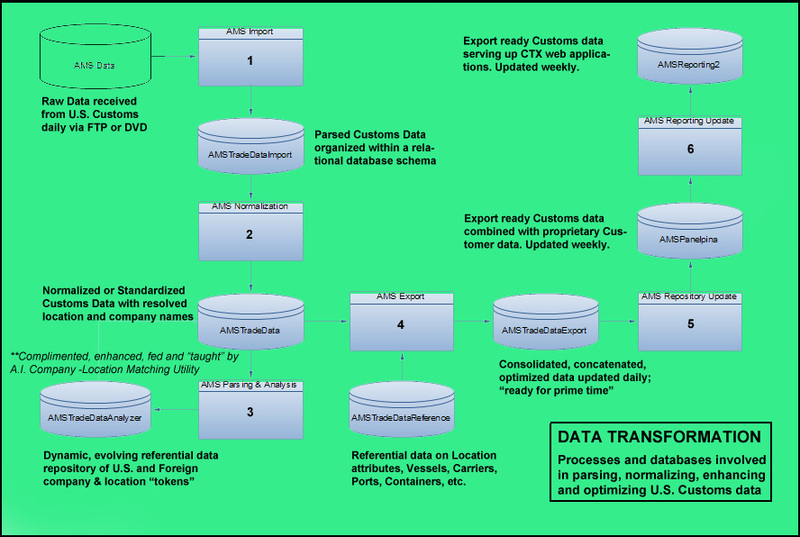 China based World Integrated Import Export Intelligence Solutions (IE Intelligence) touts North American and China Import – Export transactional databases as their primary product/solution. All available U.S. Customs data fields are listed as accessible. However, they also list over 20 other countries wherein they offer data as well. Their pricing plans are cheap. A limited 1-year subscription to U.S. Customs data is only $30. IE’s “premium” subscription plan that provides for monthly CD distribution with DBS export and unlimited users sells for $149 annually! 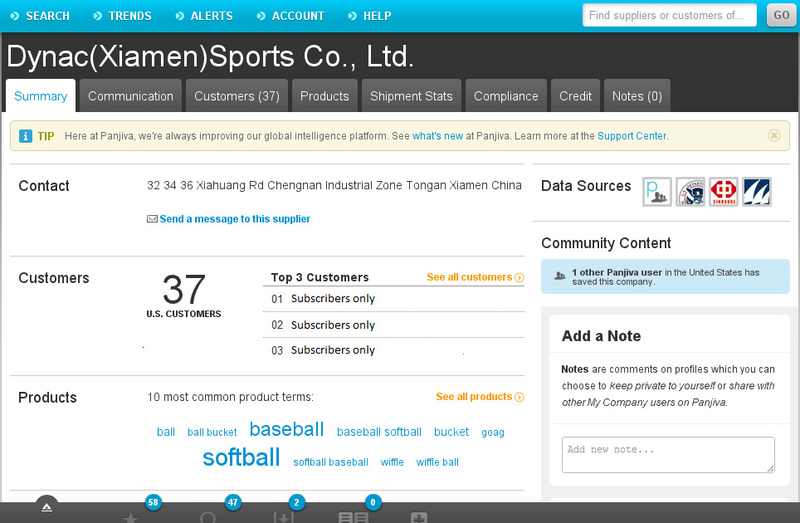 Annual China Import OR Export data subscriptions start at $599. IE indicates that they’ve been in business for 5 years and have over 500 customers. The current leader in the “race to the bottom” regarding the commoditization, commercialization and distribution of U.S. Customs data, at this juncture, can certainly be awarded to IE. At 8 cents (USD) per day, U.S. based Trade Intelligence providers will have to bring a tremendous amount of “value added” to the Customs data in order to compete. There are more TI Providers out there and there are more TI Providers coming. I’ve heard about two new ones from China alone in the last month. The newest (www.zovina.com) is rumored to be an Import Genius look alike. At the present the URL meta tag indicates “Actionable Competitive Intelligence” but the website fails to resolve. Perhaps in the near future, I’ll have to create a new category, Third Tier Trade Intelligence Providers, to accommodate all the newcomers. I’m not sure how much more room there is at the bottom though. I once entertained the notion of providing U.S. Customs data free of charge as a method of garnering website traffic and “up-selling” value added Trade Reports and Services. At this juncture though, data has become commoditized to the point of losing most of its perceived if not intrinsic value. As the name implies, they specialize in India import/export data. Their database is updated on a monthly basis. India data post 2005 does not reveal company names. Records are searchable by Harmonized code at an 8 digit level. Cost per Record is only 16 cents, thus to download 100 shipment records, the cost would be US $ 1.60. They also offer transactional data from the UK, India, China and Russia as well as U.S. Customs (waterborne import) Data – available either online or CD – as well as a handful of Latin American Countries. Particulars of access and pricing are not directly revealed. For example, in order to order U.S. Customs data, prospects are required to fill and submit a form. Cybex ExIm Solutions: Similar to their cousin, InfoDrive India, Cybex specializes in transactional, statistical and regulatory trade information for the greater India region. They offer some India port and air data too. In addition, Cybex also offers Customs type import data for the U.S. & UK as well as transactional import and export data for China and Russia. China import sample report. India export sample reports arranged by industry/product. They list 5 record based subscription plans ranging from $10 to $300 for 400 to 20,000 records (India Data base). IBIS. International Business Information Services. 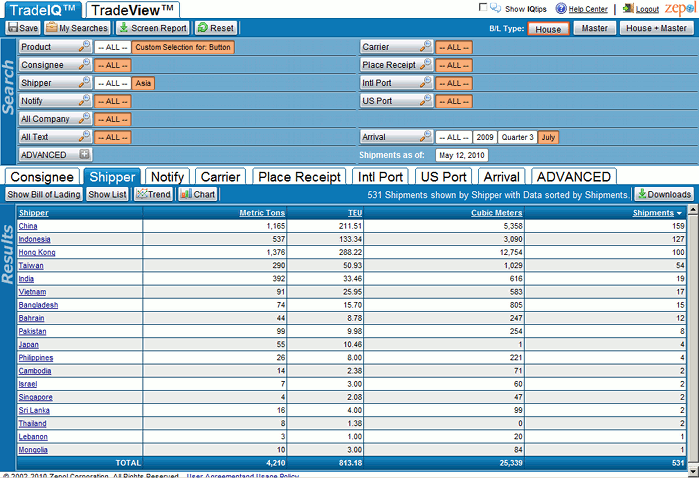 India Transactional Import and Export data. They publish 24 reports per year on each of four industries: Steel, Metals, Chemicals & Polymers and Plastics & Rubber. Each report lists the trading volumes, values and approximate CIF/FOB prices, detailed consignment by consignee, source/destination details and product description. The same data is presented country-wise also, separately for imports and exports. TIPS. Indian import and export customs data. India’s version of the U.S. Customs data except that records post 2004 mask company names. Neighboring TI provider, STATISTIKA VED – is a Russian service providing transactional data on import and export from Russia, Ukraine, China, Kazakhstan, Belorussia and Moldova. Records available only in Russian. Uruguay based Urunet offers trade statistics, transactional (manifest data) and custom reports/consultancy for Latin American countries: Argentina, Bolivia, Brazil, Chile, Colombia, Costa Rica, Ecuador, Honduras, Mexico, Paraguay, Peru, Panama, Uruguay, Venezuela as well as China and Spain. Their website is available in English, Spanish and Portuguese. 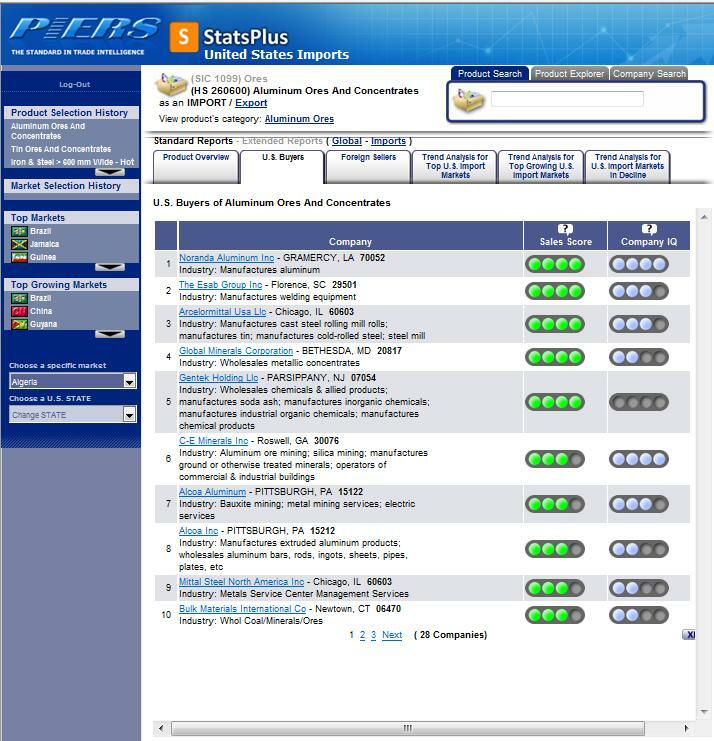 Click to see Samples of their interface and reports. YouTube video demo (Spanish) http://www.youtube.com/watch?v=T20diEvIWHM. 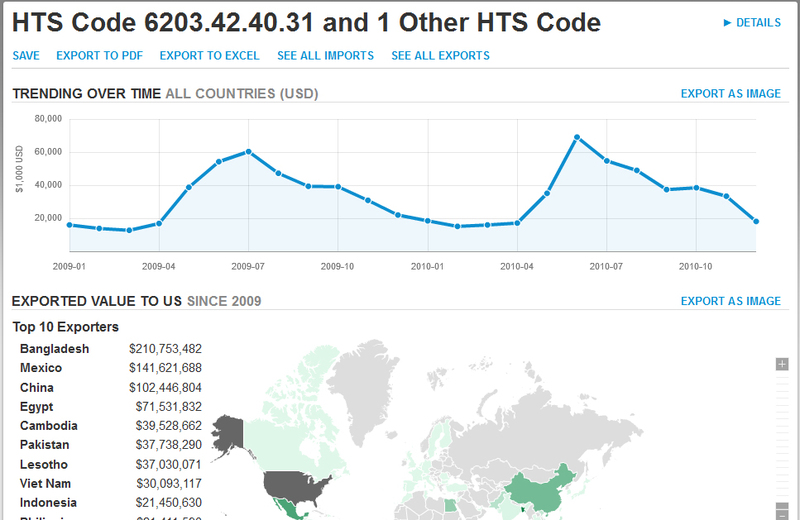 During the last several weeks, we’ve reported in-depth on the five top-tier Trade Intelligence Providers and purveyors of U.S. Customs (transactional) data, all of which are headquartered in the United States (possible exceptions are PIERS and Datamyne whose parent companies are headquartered in England and Uruguay respectively). This week, we will outline second tier providers of U.S Customs data (or sellers of similar transactional data on one or more countries). As you will notice, many of these venders are located in India or China. The list of sources is mushrooming as prices are correspondingly plummeting. One China based company is offering access and reporting on U.S. Customs Waterborne Import Manifest (BOL) data for 8 cents a day – $30 for an annual subscription. Another, India based company’s cost per downloaded record is only 16 cents, thus to download 100 shipment records, the cost would be US $ 1.60. Many offer subscription plans starting at $99 or less. But let’s begin at the beginning. Many readers have requested information on how to source the raw data directly from Customs. So, here it is. U.S. Customs Data is now officially under the auspices of DHS – Department of Homeland Security. They don’t make it easy to find them. Although they are required by federal mandate to release specified fields contained within the shipping manifests under the freedom of information act, they are not required by law to make the process easy. There are two departments you have to deal with: one that handles and dispenses the data and the other that bills and collects the money. At last record the data center folks are headed by James Klosko, fax: 703-650-3144. CBP form 3 (05/03) is required. The $$ folks were headed by Deborah Wolfley fax: 317.298.1258. Written request must be submitted – Customs form 368 – for collection of $$. The cost is $100 per day or $36,500.25 (average) per year. Buyers can now retrieve the data via FTP feed versus over night delivery, as it had been for many years. You can even buy the raw data a year or two in arrears if you want to. Sorry, no discounts are available. On the theme of secrecy, I recently stumbled upon a mysterious unnamed data source while reviewing a survey about Trade Information providers conducted by the EU. The report is available for download via our WTD Google Docs site. Also check out WTD articles “Extraordinary (Top Secret) Report on TI Providers Published by the EU” Part 1 and Part 2. This entity is conveniently referred to as “Anonymous”. ANONYMOUS is a WEB application to access a cargo data-warehouse on import/export container records from about 40 countries. Sources can be queried from a single interface point. The data are translated and searchable in English. Over 90% of the data is regulatory: the balance is derived from port authorities, carriers or other commercial data collectors. However, this paid service is NOT ADVERTISED ON THE WEB. They have the most comprehensive data collection on the planet. “Anonymous” is the ONLY entity to have apprehended transactional data for Middle-Eastern Countries. I’d say they are the best-kept secret in the trade intelligence world. Who are they?! Evaluate Suppliers. If you’re importing from overseas, we’ll help you find high quality suppliers. Our shipping records reveal customers, product lines, and exporting volumes for factories around the world. View Demo. Monitor Competitors. Would you like to know where your competitors source their products? Our data reveals suppliers, product volumes, and industry trends for U.S. importers and distribution companies. View Demo. Find Sales Prospects. If you sell products or services to U.S. importers, our data lets you qualify prospects based on their shipping histories. View Demo. Although not specifically called an application on their website, they have produced an interesting video on how U.S. Customs data can be used to analyze publicly traded companies. In addition, they provide videos illustrating three actual business cases where Import Genius was utilized by Apple, 3M and Travertine Imports. Two other items of interest: First of all, their website can be viewed either in English OR Chinese. Kudos! They have an affiliate office in Shanghai. Way to be culturally savvy and strategic! Secondly, their headquarters is officially based in St. Thomas, U.S. Virgin Islands. Great idea for corporate retreats! Import Genius is very reasonably priced. They have three pricing options: $99, $199 and $399 per month, allowing 40, 80 and 300 daily searches on datasets of 45 days, 1 year or multi-year (all records since 2006). No visual mapping is provided for the $99 plan. Instead of enduring a canned demo, I asked Ryan if we could use Import Genius to search for a product of my choosing, in this case Mopeds, 50cc or under, sourced from China. Coincidentally, motor scooters were one of the products that Ryan and his brother had successfully imported in times past. He was more than accommodating. Therefore, we went on a live hunt for Chinese scooter suppliers. 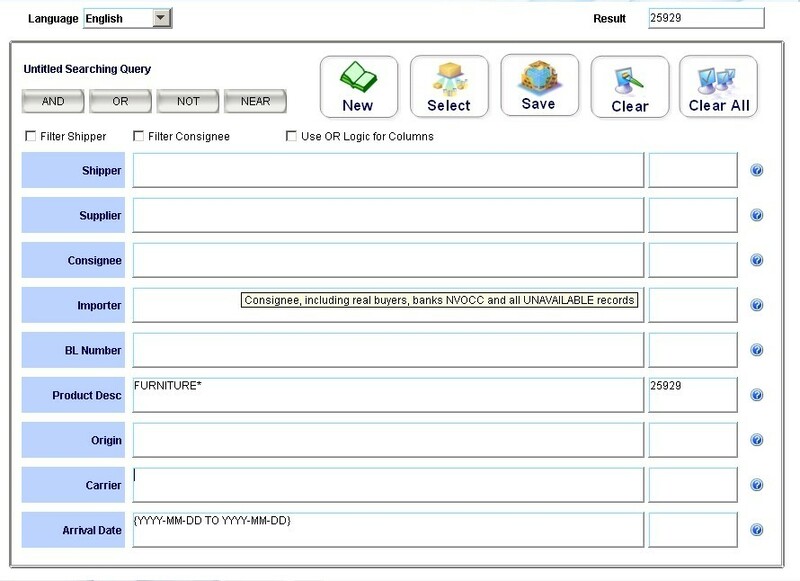 The interface was more than adequate for the task, providing a list of suppliers that could then be filtered and sorted using various criteria. There was a nifty tag cloud condensation of the manifest files that was particularly interesting. Of course, the results set could then be exported into an Excel spreadsheet. Searches could be saved for future reference. Overall, the interface was clean and functioned well. It was also fast and efficient with the tasks given it. The Data was less than 1 week old. Some TI providers take weeks before their data is ready for prime time. At CenTradeX we could turn it around and have it live within 24 hours, if pressed. The very coolest, most innovative thing I saw was the dynamic visual mapping utility. 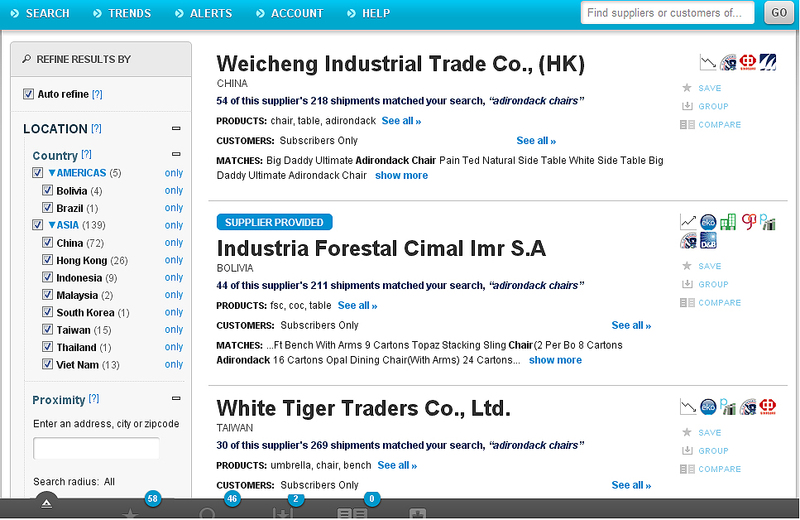 For instance, you can start with a potential Chinese supplier and see a visual map of their top ten customers in the U.S. Then, you can click one of the displayed customers and, in turn, see their 10 top suppliers. It’s a fantastic, graphic way to follow the supply chain and vet potential factories. Several years ago I played with a linguistics version – a free visual online dictionary. It’s fun to play with. Try it yourself at SnappyWords.com or Visuwords. My personal favorite is Visual Thesaurus. The engine behind the Visual Thesaurus is called ThinkMap, which is available on a license basis and has been used in many interesting applications. Import Genius has had the genius to apply this type of technology to international trade. I recently interviewed Ryan Petersen, co-founder of Import Genius and got a good walk-through of their Trade Intelligence interface. Import Genius is one of the five (what I have labeled) “top-tier” TI providers who offer U.S. Customs data. The other four are PIERS, Datamyne, Zepol and Panjiva. There are well over a dozen “second tier” providers strewn across the planet. Each top-tier provider has their own particular slant and angle toward the data. You could say that it represents the unique personality and objective that the company takes. The data is all the same. In the case of Import Genius, true to the personality, background and experience of the founders, they take a direct, pragmatic approach. In effect they are the street-smart version. Prior to establishing Import Genius, the founders were importers, getting hands-on-experience locating and vetting acceptable sources in China as well as the multifarious details involved in importing and distributing products in the U.S. It was during their ten years as importers, in their efforts to secure reliable Chinese sources, that they ran across the U.S. Customs data. They observed that the data could be manipulated in a much better and efficient manner and set off to make it so. They wanted to incorporate to their interface the lessons learned and obstacles encountered in the real life learning lab. Initially, they dreamed of creating a YELP for international trade, including customer feedback on suppliers, etc. Unfortunately, the scope of their vision and initial launch date in the wake of the global meltdown of ’08/’09, caused them to scale back a bit on the original plan. Notwithstanding, they remained true to their core intent, which was to provide an easy way to do business across borders. Ryan mentioned to me, while explaining the origins, design and unique competitive position of the Import Genius TI interface, that they really attempt to “plug into the existing processes” of their customers. Thus, when a client initiates task “X”, the interface responds with “Y” throughout the client’s business processes. He repeated the phrase, “plug into people’s process” a couple of times during the interview. Essentially, Ryan and crew have created tools that they wish had been available during their importing days. Tools that could have made their job easier and more profitable. Taking to Ryan was a déjà-vu experience. As he shared his vision and passion for their product and the innovative, rogue, street-smart company culture they maintain, it took me back to the early days of CenTradeX almost 10 years ago. I haven’t heard anyone speaking with such conviction and zeal for a long time. His enthusiasm was, as they say, contagious. “Panjiva takes great pride in its patent-pending normalization procedure, which was developed by a team of MIT-trained computer scientists. Although the exact details of the algorithm cannot be shared, the fully automated process involves natural language processing, machine learning and clustering technologies. Panjiva first takes shipping-level data for all companies, then combines it with company-specific data and those from Panjiva’s full data set. Together, these paint a more thorough picture of the companies than one particular data source could do alone. As part of this process, Panjiva keeps entities separate if they are operating at different locations. This allows the user the option to look at a specific location of a factory or supplier. However, there are also automated and manual mechanisms that can roll these into super profiles to view related entities in aggregate. Essentially, users can group them depending on how granular – or not – they want to get. 70% of Panjiva records are bound to entities using our proprietary algorithms for identifying when multiple shipping records are actually describing the same company/location entity. The remaining 30% of the records are opted-out, so those are not bound to companies, but these records are available in Panjiva’s Trends interface and via a raw customs search on the platform. Having engineered similar technologies at CenTradeX, I can tell you that it is not easy. I will also state, based upon the results set that I evidenced during the Panjiva demo, that they do a rather remarkable job in the normalization process. From what I have witnessed thus far, no other TI provider, with the possible exception of PIERS, compares. Changes in the make-up of sourcing “market share” can be viewed as well. There are three very important aspects of any Trade Intelligence application: Access, Integration and Delivery. These elements aid users in accessing, understanding and applying the trade information they need, when they need it, to make better, more informed business decisions. Trade data is obtuse. Hard to decipher. Hard to make sense of. Hard to see value in. International Trade Data – particularly U.S. Customs Manifest data and U.S. Census statistical data – is not collected to help you, the end-user, source products, gather information on your competitors, or prospect for new clients. By and large, it is collected by our government as a by-product of their attempts to monitor and control international trade transactions all for purposes of national security and taxes (tariffs). Integration: It is the job of your friendly neighborhood TI provider, like Panjiva, to take this rather obtuse data, clean it up, make it presentable and put it together with other data in a way in which you can do something useful. In that regard, Panjiva has done some rather interesting things both in the areas of normalization (cleaning it up) and in integration or “connecting the dots”. They interconnect handfuls of third-party databases in ways that provide essential value added additions to the fundamental or primary U.S. Customs Waterborne Import Manifest (BOL) data. Access and Delivery: In addition to overall smarts, money, a clear business objective and latching onto an important market niche that perfectly matches the inherent strengths that are able to be unearthed from the U.S. Customs data, the technologists at Panjiva, led by co-founder James Psota and lead engineer Timothy Garnett (both mega-tech geeks with MIT Computer Science Masters) have crafted an extraordinary “tight” (excellent, cool, awesome) product. As an artist /engineer myself, I appreciate beauty and excellence when I encounter it, including exceptionally designed and engineered technology. An important aspect of well-crafted technology is that the components fit sleekly and efficiently together and contribute to the overall purpose and function for which they were created. Panjiva’s interface is designed to help U.S. Manufacturers source products overseas. The multifarious data and programming elements of their application seem to play well together and contribute that purposeful design. As slick as the interface may be, it still comes back to data though. In the next two articles we’ll focus in turn on Panjiva’s normalization processes and third-party data sources. In the previous three Zepol articles, I have extolled the incredible speed of their search engine as well as praised their elegant, well-designed user interface. In addition, they seem to have consistently invested in product development and infrastructure. Whereas they were initially the newcomer and rouge to the trade intelligence field, they have established themselves as elder statesmen. Notwithstanding, in my opinion, there are two major areas of improvement needed, not only to withstand the onslaught of new competitors arriving monthly but also to gain market share among the other four top-tier TI providers. Namely, better standardization of the manifest data itself as well as integration of other pertinent data sources. These enhancements are not optional they are mandatory. Presently, within the blindingly fast search results there are many iterations for the same shipper (foreign supplier) and consignee (U.S. importer). In addition, NVOCCs and other transportation providers frequently show up as either the buyers (importers) or the sellers (shippers). Hence, some potential business applications are askew: validation of prospective foreign sources based upon shipment count, competitive analysis of U.S. importers, and trend analysis of shipments based upon any designated criteria. These are distorted by the lack of rigorous standardization of the underlying data. This issue is not limited to Zepol by any means. Every Trade Intelligence Provider struggles with it. Some have developed better methods than others. Only two companies out there do it with any measure of success. Both are utilizing third-party company databases plus advanced algorithms to refine the data. Most don’t employ any advanced standardization procedures at all. At CenTradeX, we developed arguably the best parsing, standardization and integration processes out there, but it took many years and hundreds of thousands of dollars to accomplish this. It was an obsession for a decade. It’s not easy. In the other area of improvement, integration of other pertinent data sources, Zepol is clearly heading in the right direction with TradeView. Contrary to their initially held position to only serve up U.S. Customs data, Zepol has added U.S. Census (Statistical) data. 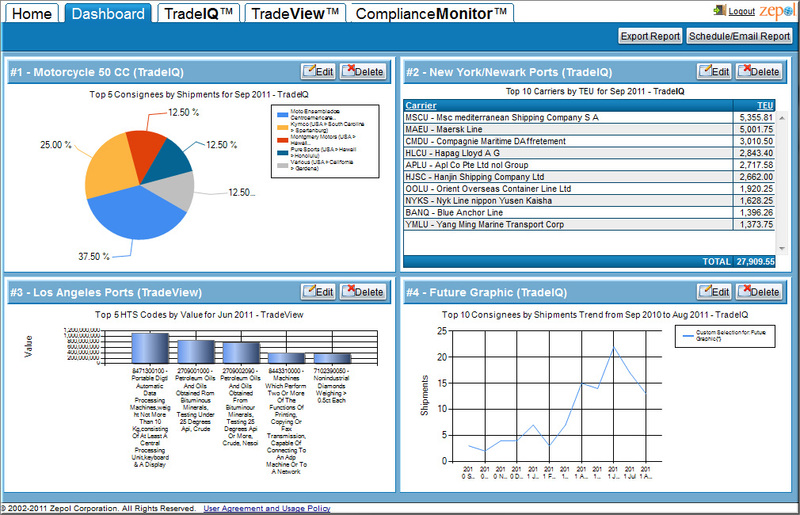 What is especially notable is that they utilize virtually the same user interface for TradeView as TradeIQ. It’s a fairly seamless and painless transition from searching and reporting on manifest data to doing the same with statistical data. This is no small accomplishment since the two databases are vastly different. The real key and subsequent challenge will be to connect these two disparate silos of data to one another in significant ways that provide additional dimensionality and richness. There could also be some interesting results from marrying their new offering, Compliance Monitor with TradeView, but at this point, a potential relationship seems fuzzy at present. I’ll end this series by recounting my comment about TradeIQ. Did I mention how freakin’ fast the darn thing is? I really can’t get over it. Again, if you want an idea of just how fast, check out the videos on Part 1 of this series, Zepol, Part 1: Fast, Faster, Fastest… Freakin’ Crazy Fast Search Engine. If you are interested in discovering the features and respective pricing of each of their subscription options, feel free to download this Spec Sheet. WorldTradeDaily.com maintains an extensive video library wherein a dozen of Zepol’s instructional videos can be found. Zepol also maintains one of the better blogs out there. 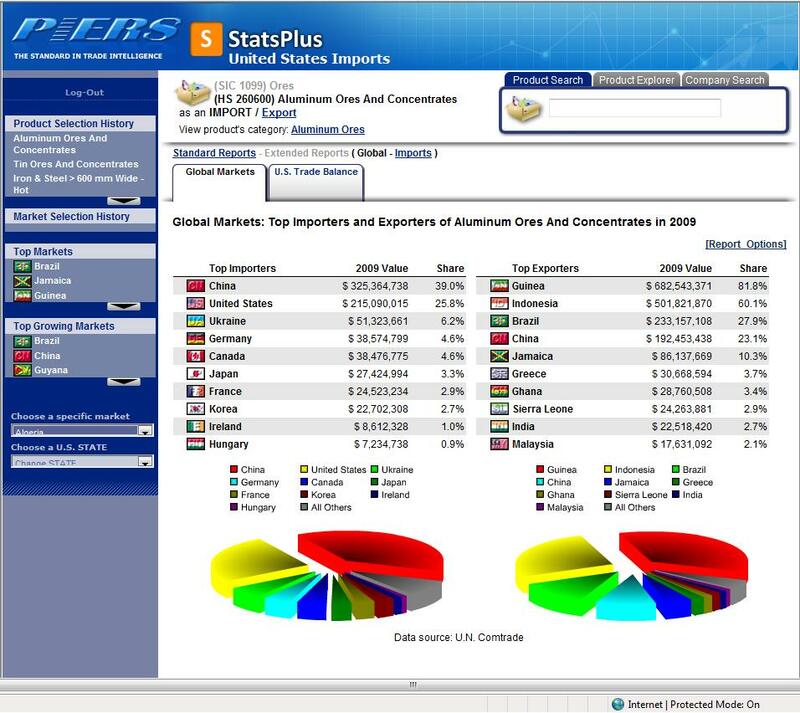 Trade View results screen shows how U.S. Census statistical data can be used to identify potential source countries for a particular product. Census Statistical Data can also be used to spot sourcing trends for products and components. 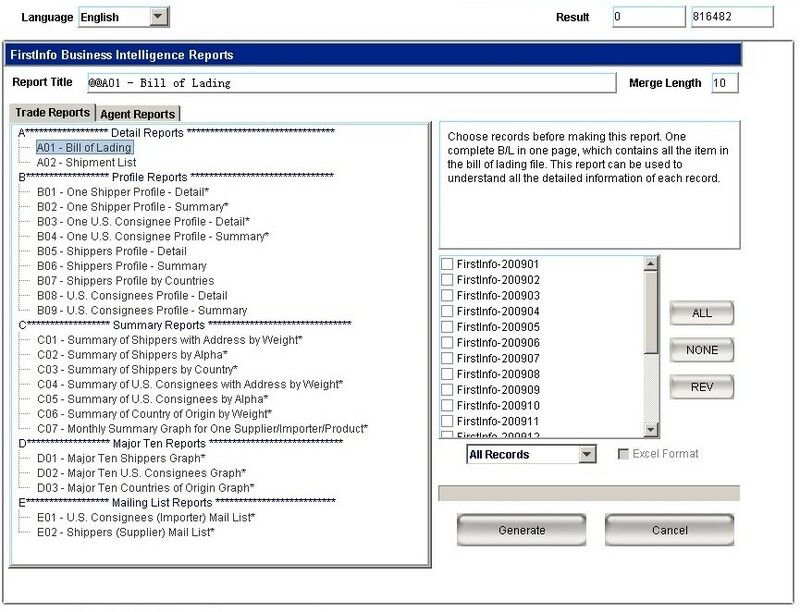 Zepol was the first company, other than PIERS of course, to offer a commercial searching/reporting utility to atop the U.S. Customs Waterborne Import (BOL) data. Their voluminous database of 100,000,000 records extends back to January 1, 2003. 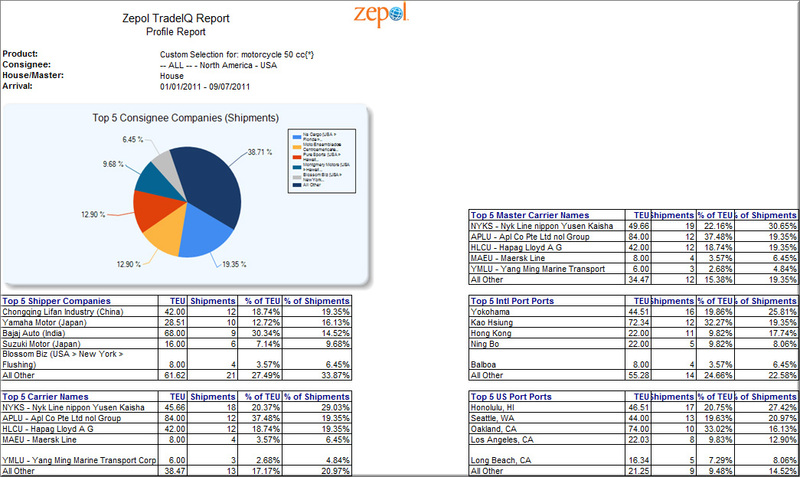 With only a smattering of sales in 2004 and 2005, Zepol really began to emerge as a player in 2006. I remember meeting with Paul in Minneapolis early on. He struck me as a solid businessman. His style was clear, concise and savvy. We explored cost sharing the daily expense of the daily Customs CD’s. On the surface, it seemed plausible. Our business plans and prospective clients didn’t overlap much. At CenTradeX our approach was developing custom integrated solutions (utilizing multiple statistical, company, transactional and referential databases) and Zepol’s straightforward business plan was to exclusively offer the U.S. Customs data with a superior search/reporting utility at 20% discount over PIERS base product (which at the time ran around $5,000 to $6,000 annually). Their singular data product was/is called “TradeIQ”. I also remember checking in with my business associates at PIERS. At the time, they really didn’t think Zepol represented any competition whatsoever. PIERS maintained a comfortable monopoly that they believed was unchallengeable. My, how things have changed in just 5 years! Five years represents a whole generation, technologically speaking. 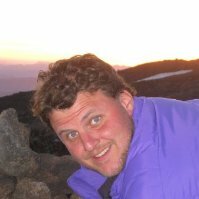 We (CenTradeX) never did the deal with them. We couldn’t agree on the particulars of reselling processed data, and we already had a data partner in China. I think the new management at PIERS closely monitors the comings and goings of all their competitors. Zepol, recanted on their position to exclusively offer U.S. Customs data. Their “TradeView” product now offers their same user interface to search and report on monthly U.S. Statistical data (with data extending back into 2007). Whereas Zepol first competed on price alone (and a slicker search UI). With the emergence of Datamyne, Panjiva, Import Genius along with dozens of ultra cheap competitors coming on the scene, they have been forced to evolve into a different company. Paul emphasized that they have heavily invested in infrastructure and improving their product as well as in customer service in an attempt to bring additional value to the equation. Most TI providers see that there is nothing to be gained by a “race to the bottom” wherein products compete on price alone. It’s about bringing true value to the end-user. It’s about creating solutions, not selling data. It’s about looking farther and adapting faster than your competitors. Zepol’s Home Screen. 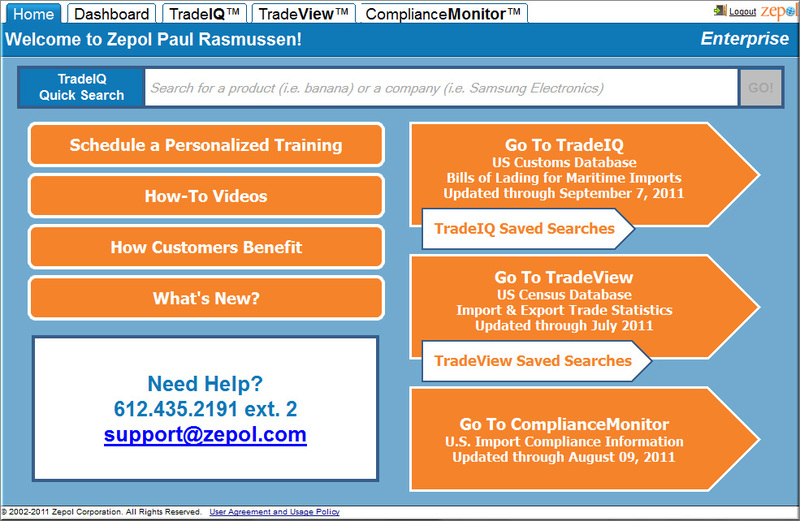 Entry points to Products TradeIQ and TradeView. Zepol’s very cool Dashboard providing users four “big picture” graphic overviews of saved searches. Fully customizable by the respective user. Click on the picture to view a larger version.